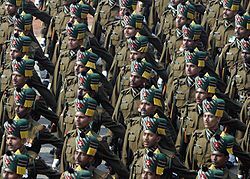 The Republic Day of India is a national holiday of India to mark the adoption of the Constitution of India and the transition of India from a British Dominion to a republic on January 26, 1950. It is one of the three national holidays in India. 26th January 1950 is one of the most important days in Indian history as it was on this day the constitution of India came into force and India became a truly sovereign state. In this day India became a totally republican unit. The country finally realized the dream of Mahatma Gandhi and the numerous freedom fighters who, fought for and sacrificed their lives for the Independence of their country. So, the 26th of January was decreed a national holiday and has been recognized and celebrated as the Republic Day of India, ever since. The patriotic fervour of the people on this day brings the whole country together even in her essential diversity. 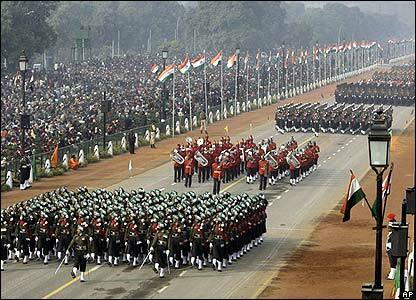 Every part of the country is represented in occasion, which makes the Republic Day the most popular of all the national holidays of India.